A modern and simple website is crucial to any school or business. If it is difficult to navigate and lacks visual appeal, a website won’t attract or keep the traffic it was designed for. Thanks to Webanywhere, those problems can become a thing of the past. Anthony Curton CofE School is a diocese of Ely Multi Academy Trust based in Wisbech. They educate ages 4-11 and have been happy Webanywhere customers since 2013. Anthony Curton CofE Primary School wanted to update and modernise their website so that they could better communicate with parents and make school information more accessible. After Webanywhere was recommended to them by other schools, they decided to get in touch. Webanywhere provided Anthony Curton CofE school with a bespoke website, which meant they were able to impart their personality onto the platform using themes, images and colours of their choosing. It was also created using our straightforward Jotter module, allowing easy navigation of the site, as well as the school being able to make updates effortlessly. 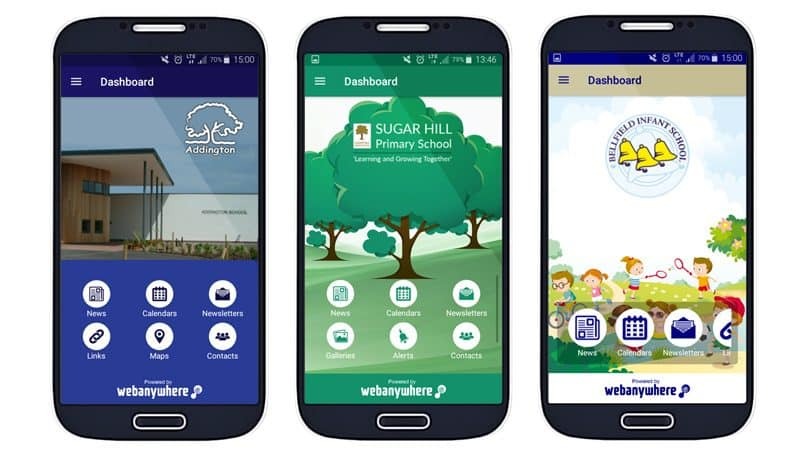 “We've had so much positive feedback on the app as it’s a great way to reach parents and get messages home quickly. The amount we spend on reprographics has also reduced considerably as the majority of letters are now accessed via the app." Webanywhere offer exceptional Moodle support, which Chaucer School knows, having used them for many years. Since 2003, we’ve been working with thousands of schools across the UK and worldwide to develop the best school websites, mobile apps and online educational software. Copyright © 2019 School Jotter. All rights reserved.